Ashaway is a USA-based company who are one of the oldest string manufacturers in the world. Founded in 1824 Ashaway became known for manufacturing high quality fishing line. 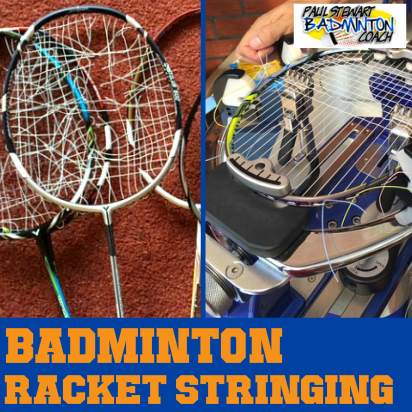 They began making racket strings in 1949 and were the first to introduce Kevlar strings to the tennis market. Ashaway USA now manufactures a wide range of products from racket strings to lines used in heart surgery. 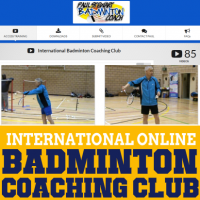 Such exacting standards are a norm from this company which is why they are regarded as one of the best racket string manufacturers in the world. I have used Ashaway string since the mid 1980’s. 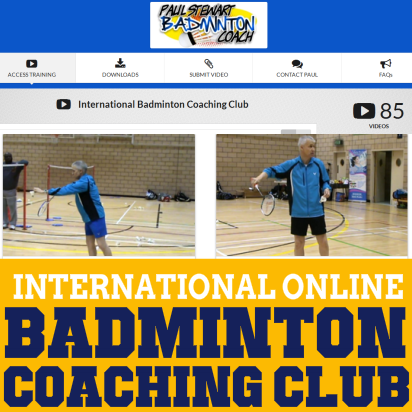 Back then, their badminton strings were regarded as the number one string in the UK with most of the Team GB players using Rally 21, a string which is still very popular today. They are still held in the highest regard by players, coaches and stringers. 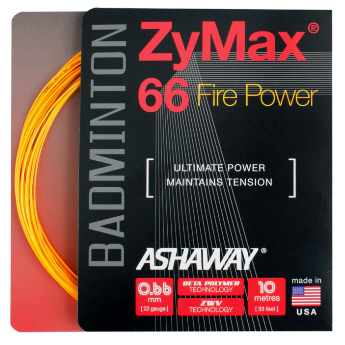 The introduction of the Zymax range, and most recently the superb Beta Polymer Zymax Fire has seen a surge in popularity for Ashaway badminton strings. Players across the world are switching to these strings which offer exceptional feel, outstanding response with increased tension stability. 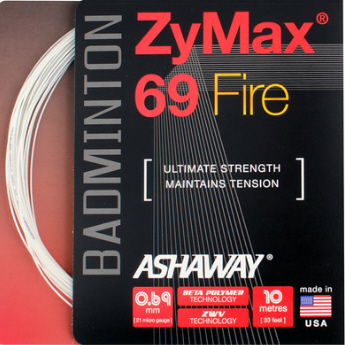 All of the Ashaway Zymax Fire badminton strings are multi-filament strings. Multi-filament strings consist of many individual strings wound together to create a strong core, with an outer core that comprises intricate weaves to provide bite or grip on the shuttle. This means they are great for absorbing shock and also offer great touch, control and power. 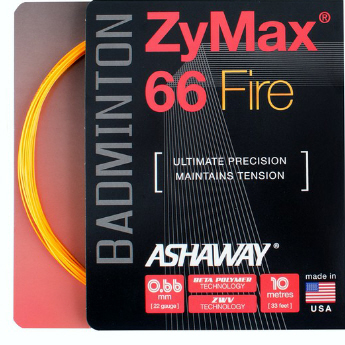 ZyMax 66 Fire is a 0.66mm badminton string, tailored specifically for players at the high performance end of the spectrum. ZyMax 66 Fire is designed for precise shotmaking and is recommended for players that like a stiffer, more control-oriented string bed. 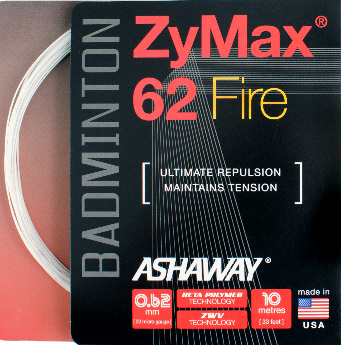 ZyMax 66 Fire has superior toughness, tension stability and durability at all tensions when compared to all existing micro gauge badminton strings on the market. ZyMax 69 Fire is a 0.69 mm string designed specifically for players who are especially concerned about durability and string life. ZyMax 69 Fire is recommended for players at all performance levels and for use with extreme tensions and under the most demanding playing conditions. ZyMax 66 Fire Power is a 0.66mm badminton string, tailored specifically for players at the high performance end of the spectrum. ZyMax 66 Fire Power is designed for optimum repulsion, power and shot making. It is also beneficial for minimum tension loss and maximum strenth and durablity. ZyMax 66 Fire Power has superior toughness, tension stability and durability at all tensions when compared to all existing micro gauge badminton strings on the market. 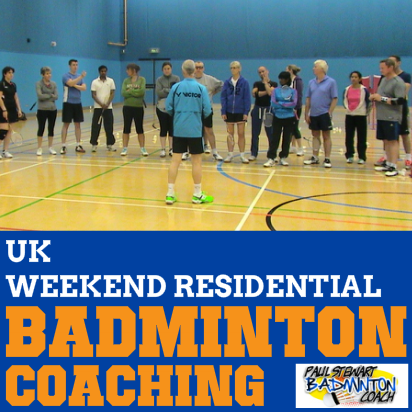 The Rally 21 is part of a family of badminton string which features a 1000 multi-filament core utilises MAX filament orientation technology. 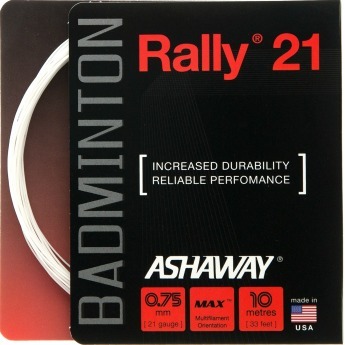 Our Rally 21 Badminton string is 0.75mm in diameter for increased durability. A multi-filament core with MAX orienitation of filaments increases string life and insures reliable performance.